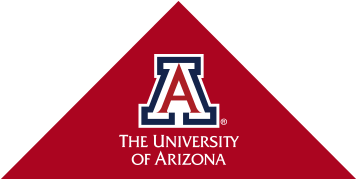 (UAHS) Through the Science Exchange Collaborative with Ventana Medical Systems, University of Arizona faculty will have access to distinguished speakers Ventana periodically invites to Tucson. The Collaborative's next lecture will be delivered by Nathan Cherrington, PhD, professor, 1885 Distinguished Scholar, and head of Pharmaceutical Sciences at the UA College of Pharmacy. Dr. Cherrington's presentation is titled "Obesity: An Increasing Health Crisis." His presentation will focus on metabolic syndrome and its effect on the response to environmental toxins. Due to limited space, these seminars are available to the first 20 UA faculty members who RSVP. Please contact Matt Peters at mwpeters@email.arizona.edu to RSVP. Ventana has graciously offered to provide tours of their facilities and demonstrations of their technology during these visits; please let Matt know if you are interested in participating. Visitors coming from the UA with MD degrees need to sign a form to be in compliance with the Sunshine Act.